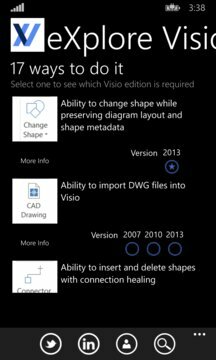 Have you ever wondered what is provided with each edition of Microsoft Visio? The stencils in each template? The add-ons in each edition? 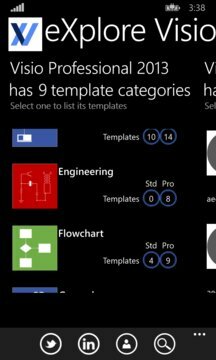 Visio is the premier visual data application from Microsoft that adds intelligence to your business. David Parker, bVisual ltd, has been given a Most Valued Professional award for each of the last 10 years by Microsoft, for his continued contribution to the Visio community, and has put together this application to further advance the knowledge of the capabilities of Microsoft Visio, based on 20 years of creating corporate solutions. This app is free, but contains adverts.